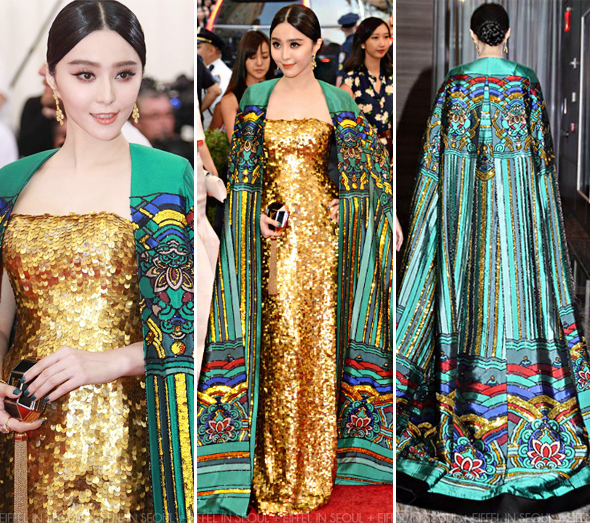 Chinese actress, Fan Bing Bing (范冰冰) glided down the red carpet of the 2015 Annual Costume Institute Gala (Met Ball Gala) held at the Metropolitan Museum of Art in New York City on May 4, 2015. She was dressed in a stunning creation from her stylist, Christopher Bu (卜柯文). Completing her regal look in Chopard jewels an a Louis Vuitton minaudière. 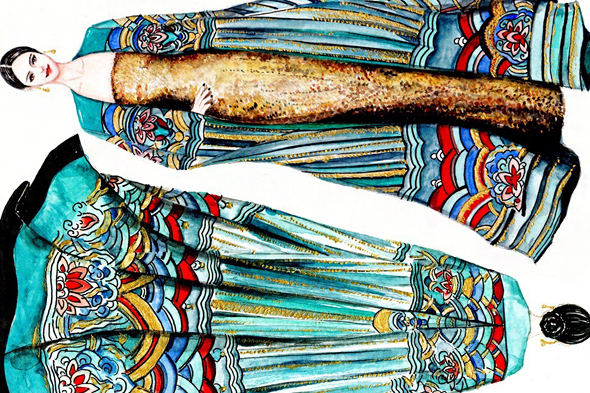 The sequin gold dress alone would have been boring without the intricate-designed cape. Without a shadow of a doubt, she was on the 'Best Dressed' list that evening.